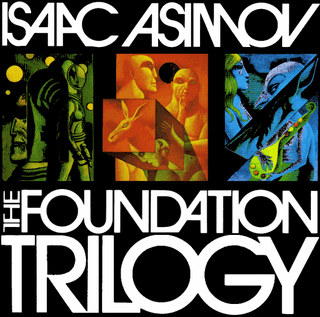 Isaac Asimov’s Foundation trilogy is one of the landmark works of science fiction: it’s big, epic and has attracted a following in the decades since it’s original publication. In 1973, it was turned into an audio drama, and you can listen to it online! The drama was commissioned by the BBC in 1973, and was adapted by Patrick Tull (episodes 1 to 4) and Mike Stott, (episodes 5 to 8). The series was directed by David Cain. The series was broadcast between May 6th and June 24th, 1973. Listen to the entire 8-part series here.